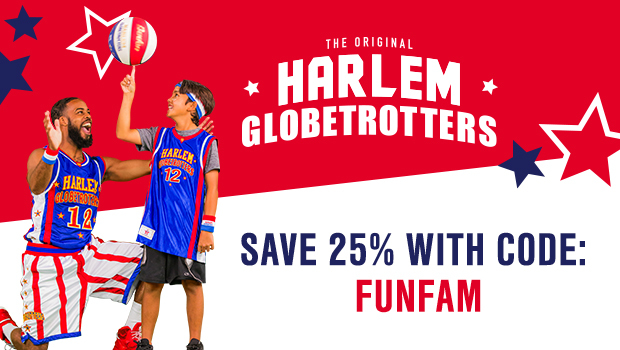 My family had been wanting to make to see the Harlem Globetrotters for years. We just never could make it work with schedules and location before. My oldest son actually brought it up again about 2 months ago. Ironically about 2 weeks later this opportunity popped up with US Family Guide so we had to grab it. 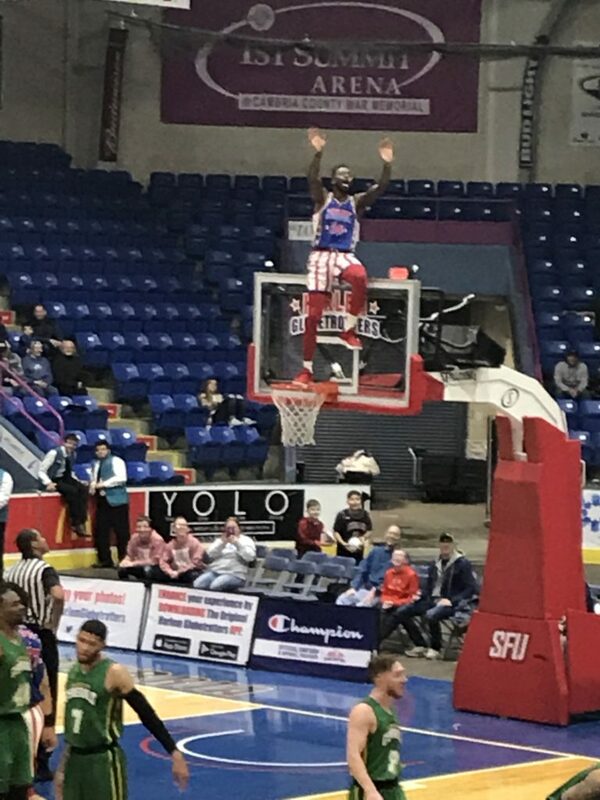 It’s not often we get to see the Harlem Globetrotters at 1st Summit Bank in Johnstown, PA.
Having never seen them before we didn’t know what to expect. We knew they were talented basketball players but what were we going to see? A show? 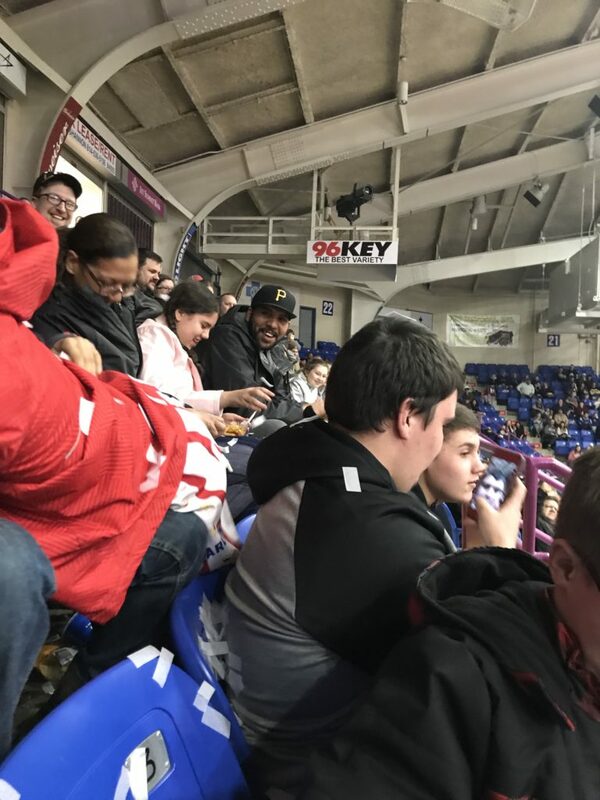 A basketball game? Would we enjoy it? Well we quickly learned we were getting both a show and a basketball game. 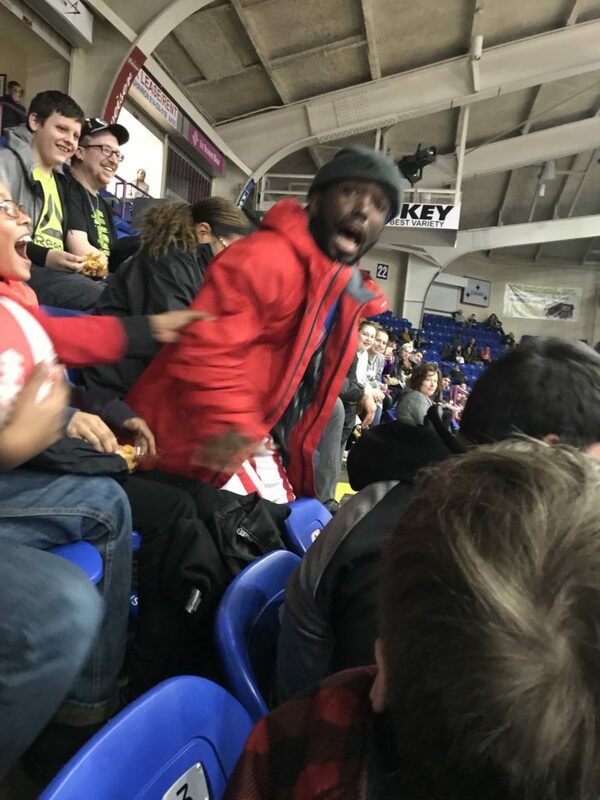 The antics of the Harlem Globetrotters had my kids and I laughing. They new how to get the crowd involved from doing the wave, participating in a “slow-motion replay” and even taking people out on to the court. 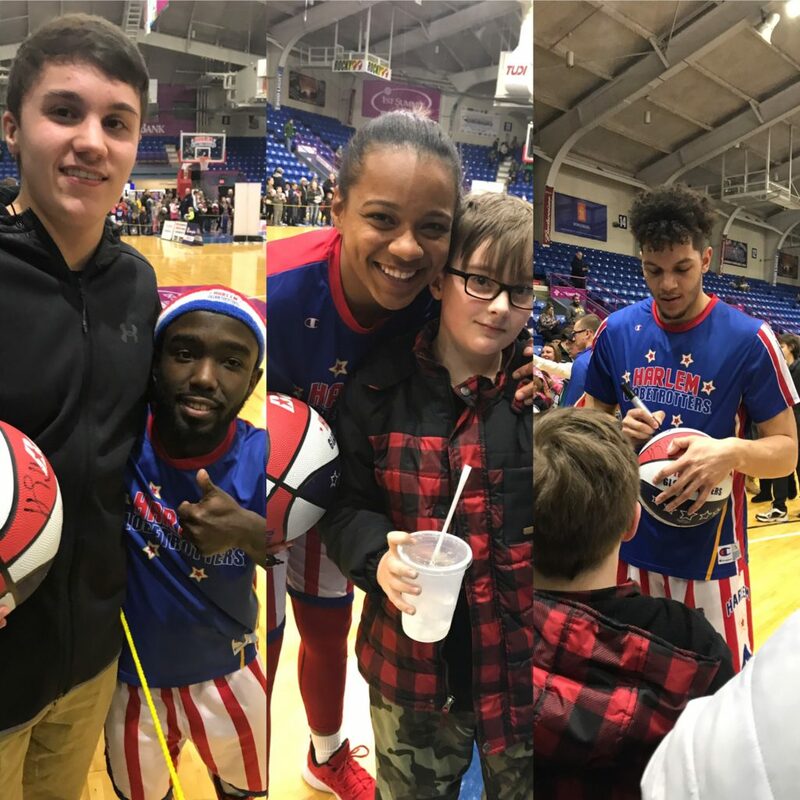 A few times the Harlem Globetrotters themselves even came up into the stands. We were close to one such instance. It started with the Harlem Globetrotters “Hot Shot” throwing a cup of water at “Thunder”. Well it escalated to a point that Hot Shot tried to hide himself in the crowd to get away from Thunder with a water cooler. We happened to be very close to the action. Hot Shot was found by Thunder in the crowd. Thunder threw the contents of the water cooler on him which happened to be the white confetti you see in the pictures. That’s my oldest son in the black and gray hoodie. At intermission they had Harlem Globetrotter basket balls for sale. I decided to get one as a souvenir for the kids. They were reasonably priced too. The kids were able to bounce them outside of the court which helped some of the little ones wear off some energy. I was really glad we ended up getting one too because the player signed autographs at the end for anyone that wanted one. We were able to get signatures from Hot Shot (my kids’ favorite), Ice (my favorite), and a few others. The players were so nice to the kids. They, of course, had Globie the most famous mascot and Big Globie or Big “G” as they called him. Took some live videos and more pictures on my facebook page that you can check out to see more! We received tickets to the show in exchange for this post. Any opinions expressed are my own.